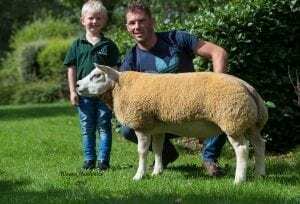 Airyolland Castro – New Breed Record of 65,000gns. 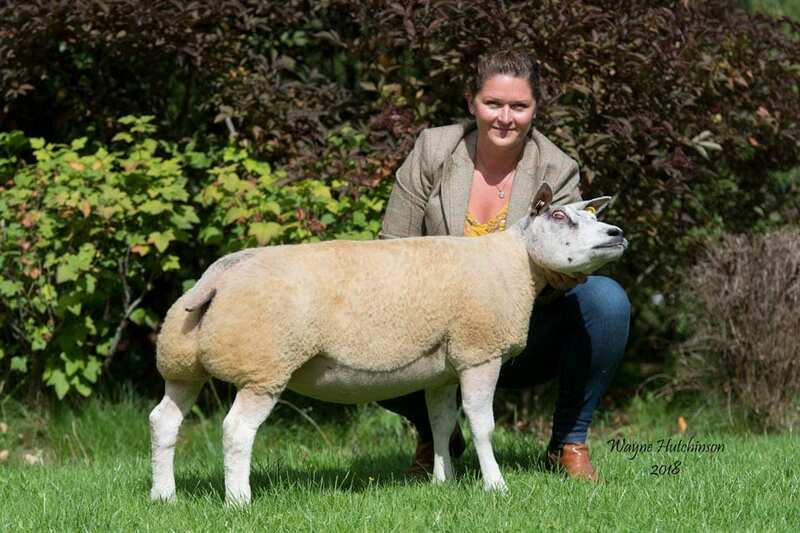 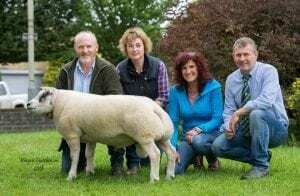 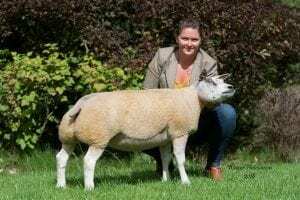 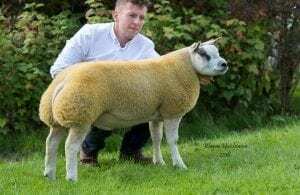 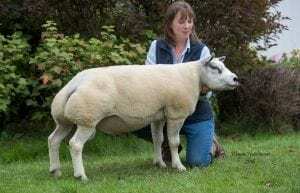 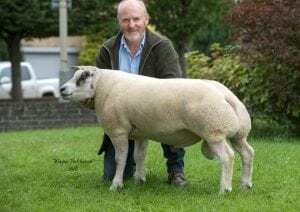 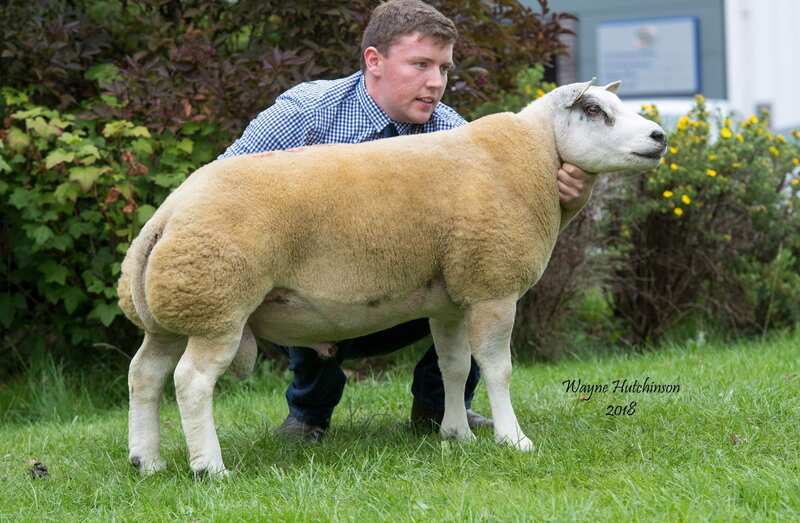 Setting the new record was Airyolland Castro from Newton Stewart-based breeders Neale and Janet McQuistin’s Airyolland flock. 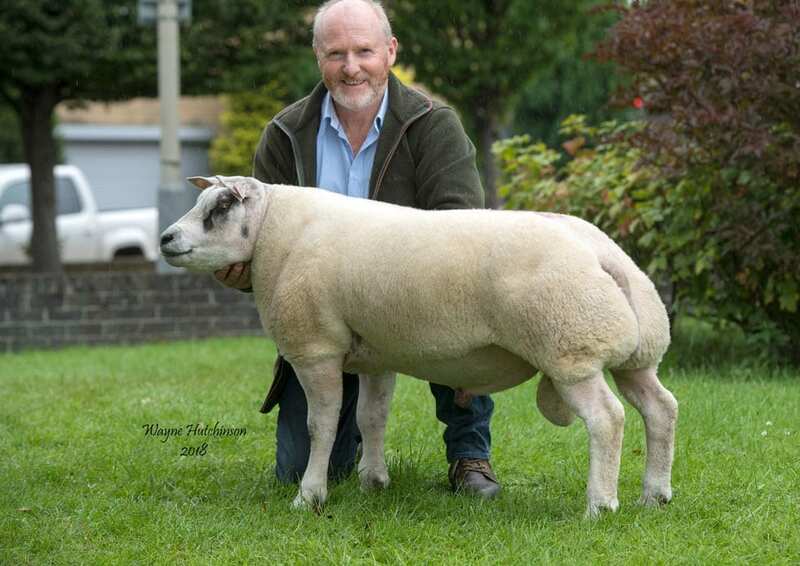 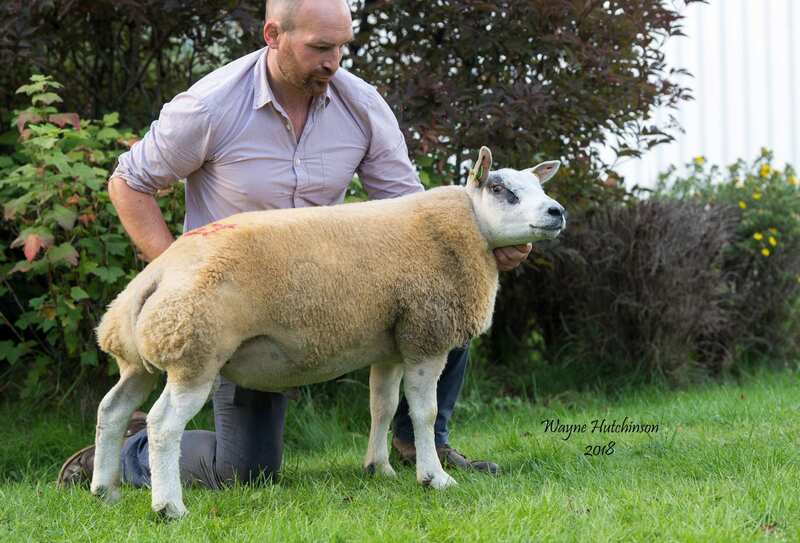 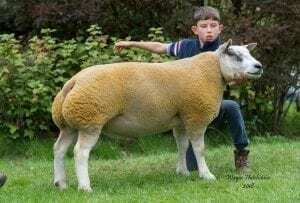 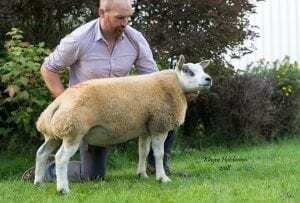 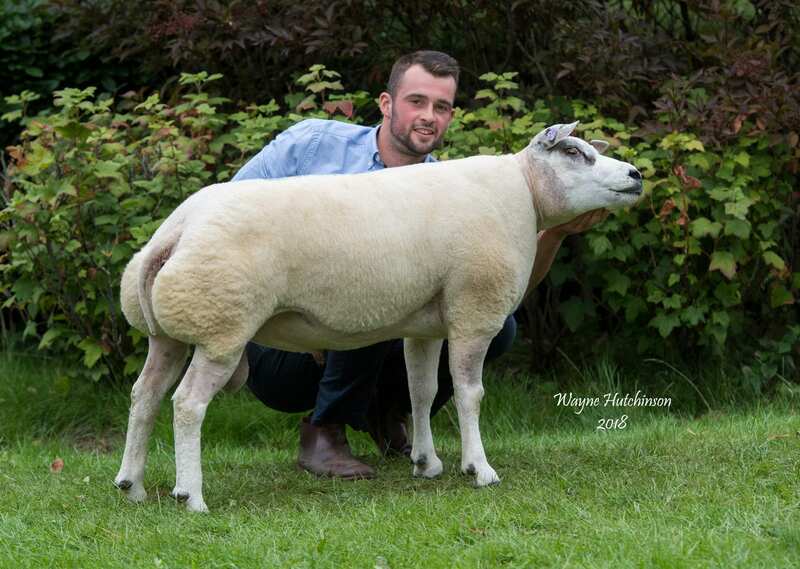 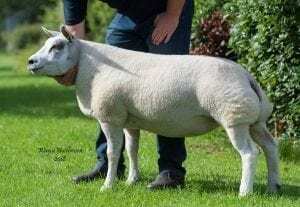 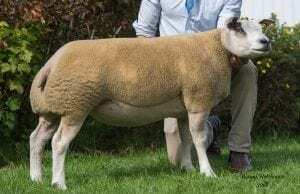 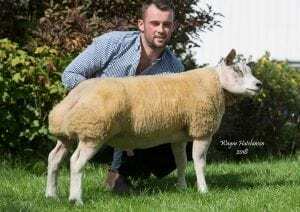 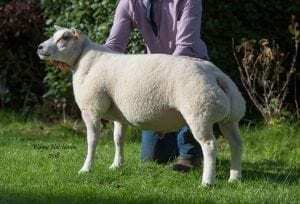 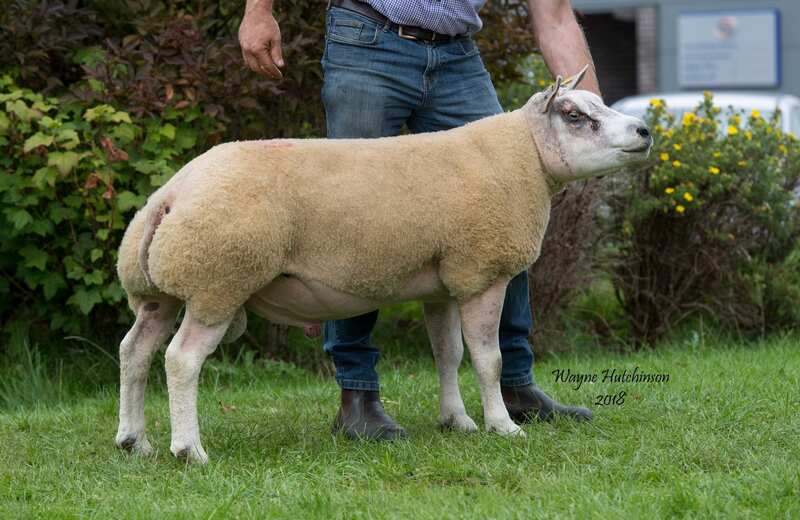 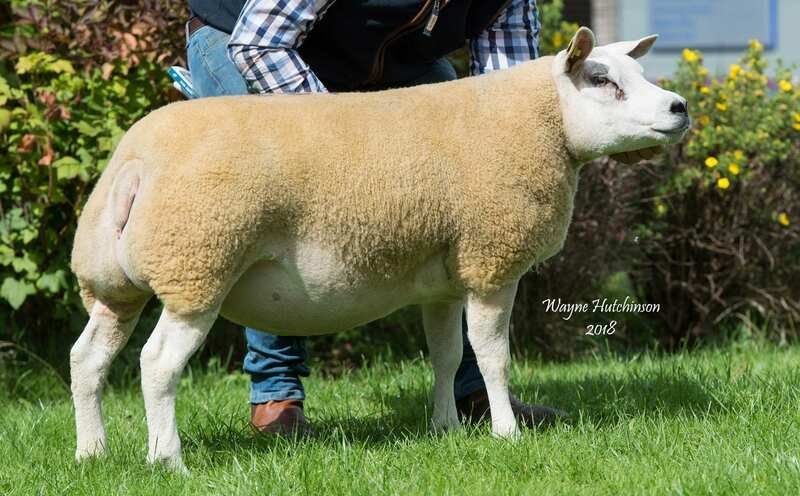 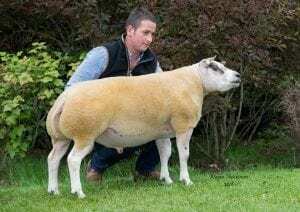 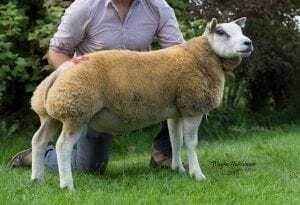 One of more than 1700 Beltex catalogued for the Society’s largest UK sale to date, Castro is by the homebred Airyolland Asulam out of Airyolland Tramp, a Corstane Max daughter. 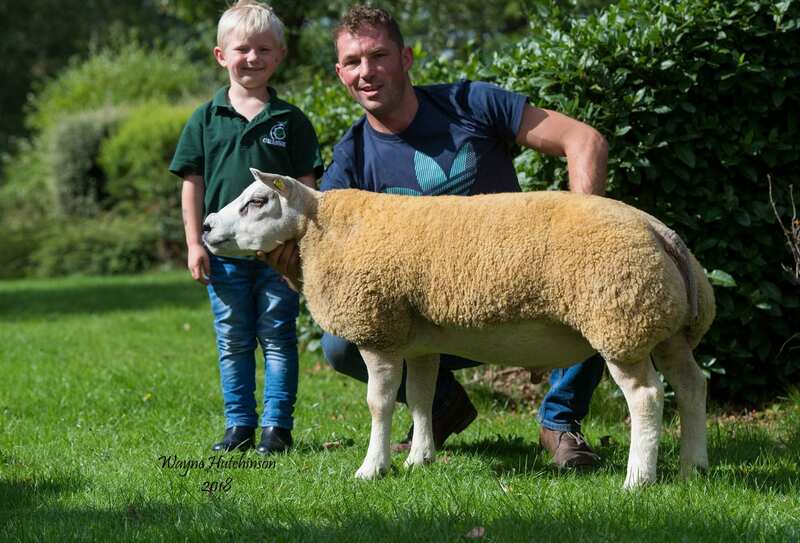 Paying the new record price were Paul and Christine Tippetts, Shifnal, Shropshire, for their Hackney and Wilodge flocks, with the same buyers responsible for the breed’s previous best price. 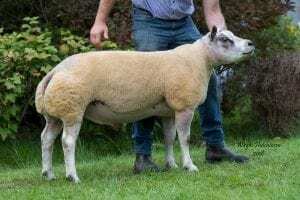 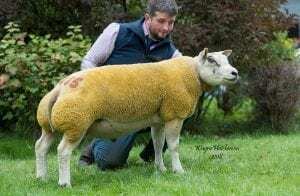 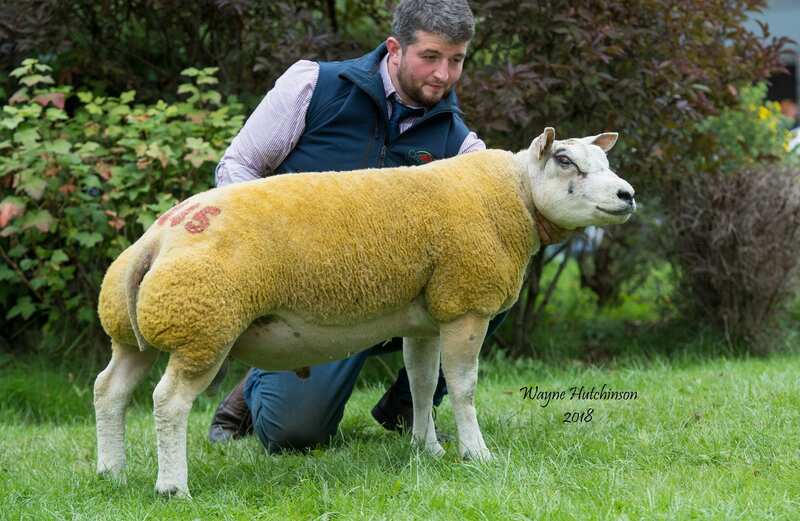 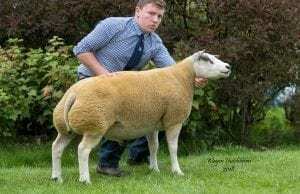 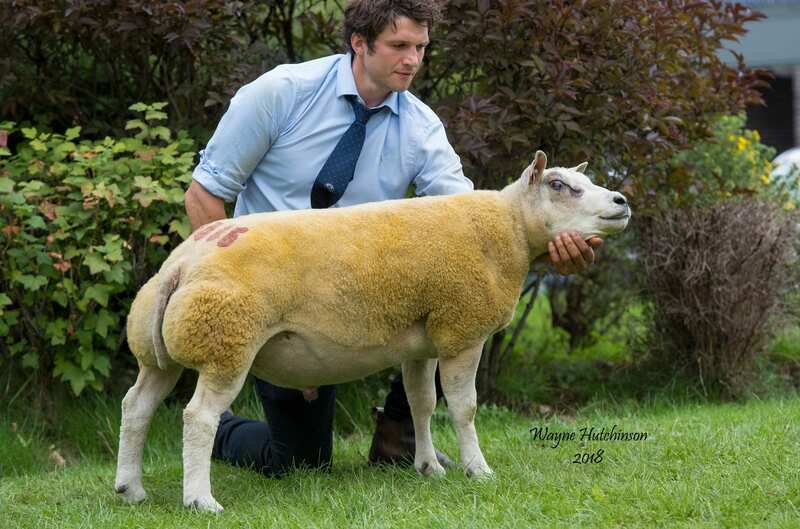 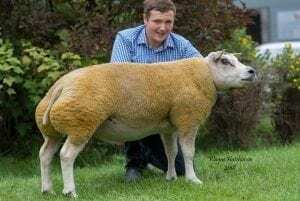 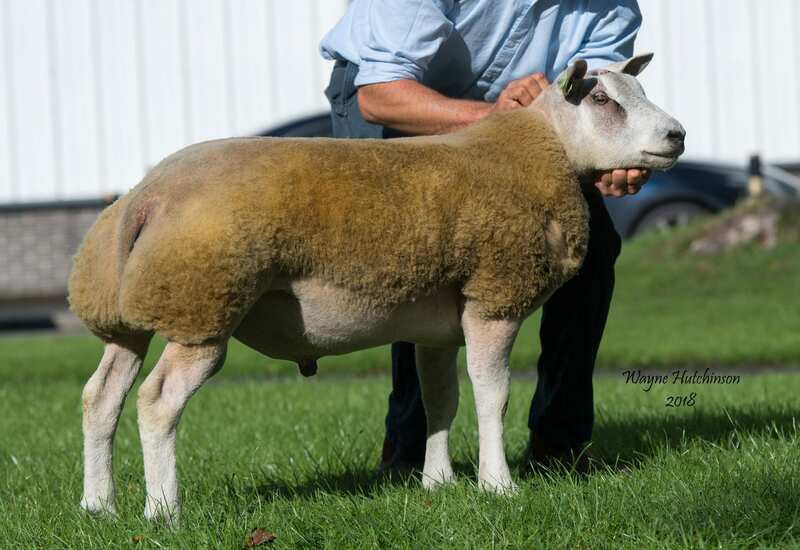 Then at 14,000gns was another tup sold in a two-way split, Ardstewart Coyote from Wade and Alison McCrabbe, Northern Ireland. 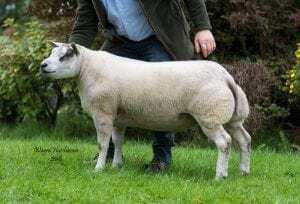 This son of Langlands Trojan is out of Ardstewart Skinderella, a Broughton Pound Stretcher daughter and sold to Messrs Whiteford, Brampton, Cumbria, and Messrs Little, Carlisle, Cumbria. 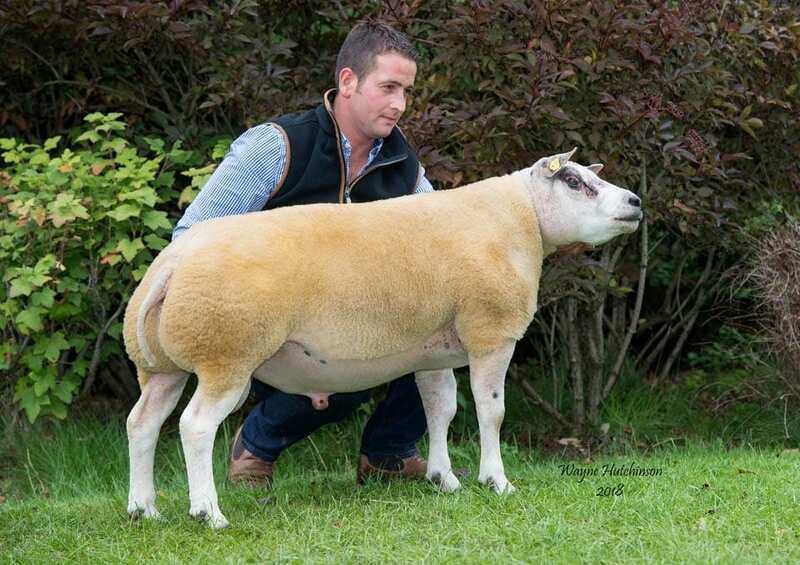 Not far back at 6800gns was Belvoit View Cadillac Jack from Leicestershire-based breeders Richard and Rachel Sharp. 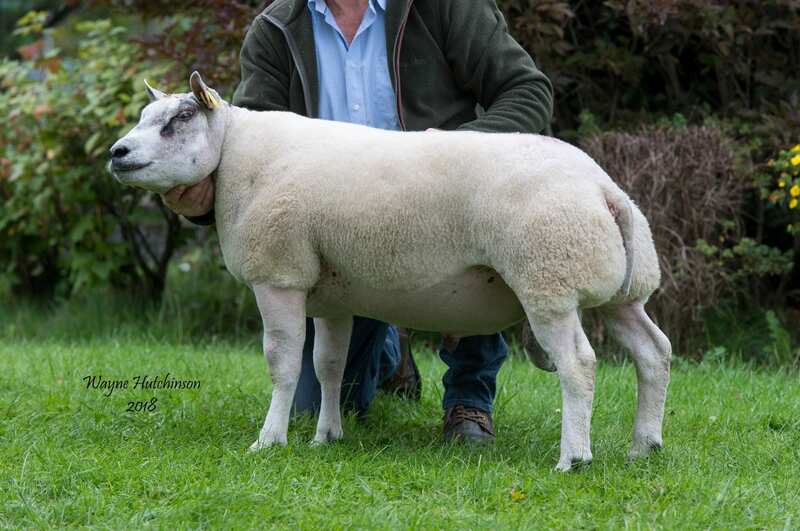 He is by the homebred Belvoir View Apple Jack and out of a Wern Sycharth daughter. He also sold with a strong show record, having been male champion at the Great Yorskhire Show this year. Buying him were Messrs McCrabbe Co Donegal, Eire. 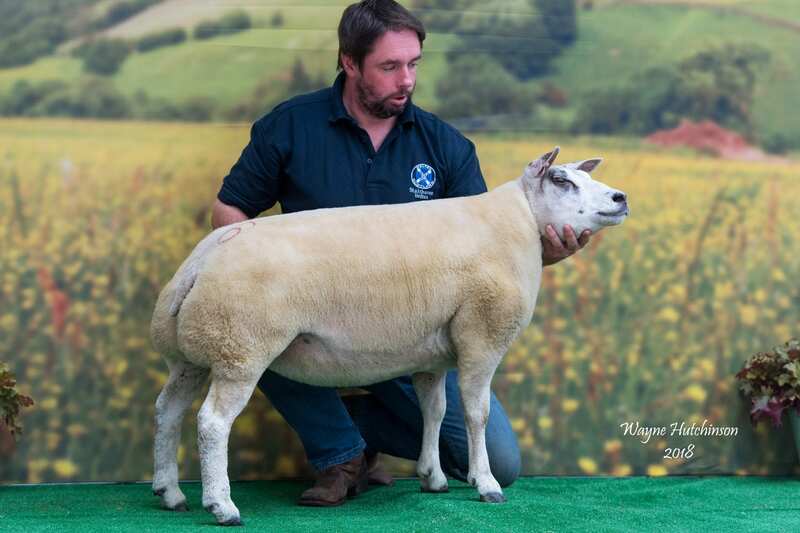 Best of the gimmers on offer was a 7500gns call for Heber Park Carmen, the second prize gimmer from the pre-sale show from the Shuttleworth family. 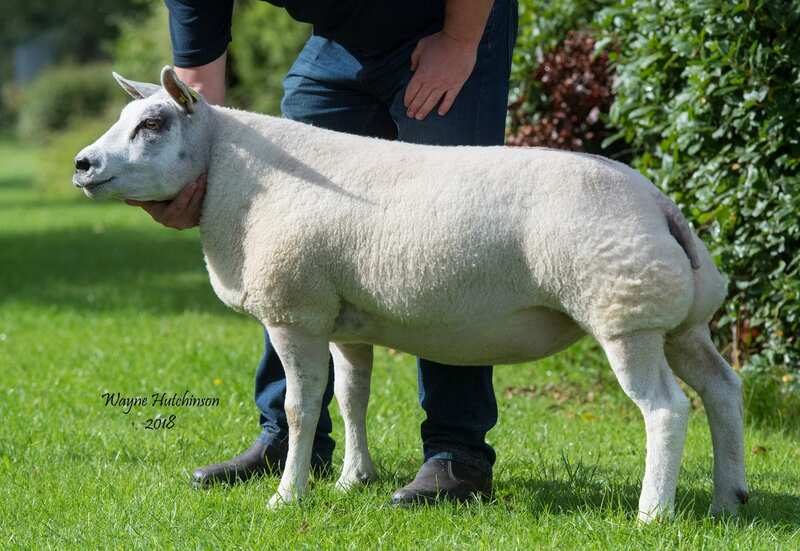 This Buckles Balmoral daughter is out of Heber Park Ariette, a Kingledores Walter daughter. She sold to Paul an Christine Tippetts, Shifnal, Shropshire. Averages; 708 shearling rams £1211.81, 184 ram lambs £1256.23, 20 aged rams £1333.50, 261 gimmers £791.89 (Harrison and Hetherington).